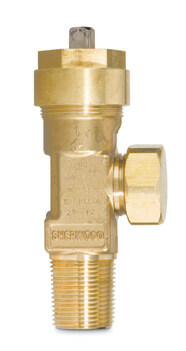 Sherwood chlorine valves available here are manufactured by using the latest technology, which increases the quality of the valves. To ensure the highest quality, we employ automated self-diagnostic equipment and maintenance procedures to (manufacture) valves to meet your specific applications. 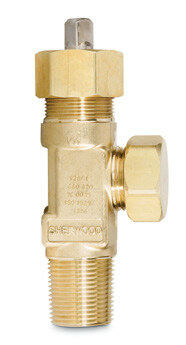 (The) chlorine cylinder valve body is made from heavy duty material which is a combination of Aluminium Silicon Bronze (C64210) that is corrosion resistant. 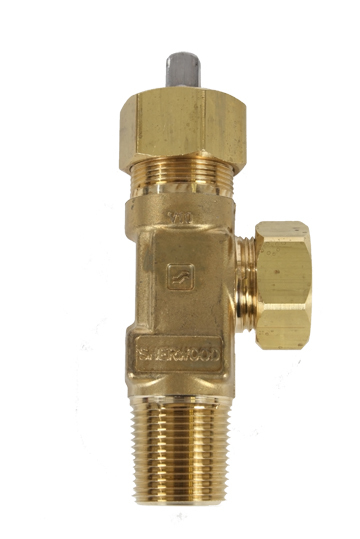 A packing nut, packing collar, packing gland, outlet cap, fusible plug pressure relief devices are all made of brass and form a part of the basic valve that increases the load carrying capacity and resistance against cracking due to stress corrosion. 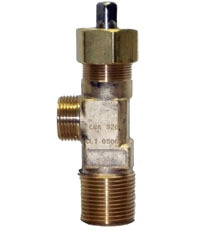 A single piece Monel stem (ASTM B164.84, Type NO4400 or NO4405) offers exceptional durability and positive shut-off in chlorine gas service. For easy operations, choice of PTFE or Garlock 6130 packing is used to seal the stem which increases its resistance to leakages. Your safety is the priority! For easy installation of the alternative chlorine valves, the large wrench easily sits on the flats of the valve body which ensures that the valve is fitted safely and securely.